Two coincidences happened in April 2018 regarding the Forest Town Cycle Track. On the 15th April at the Forest Town Community Council meeting a proposal to upgrade the cycle track was announced. 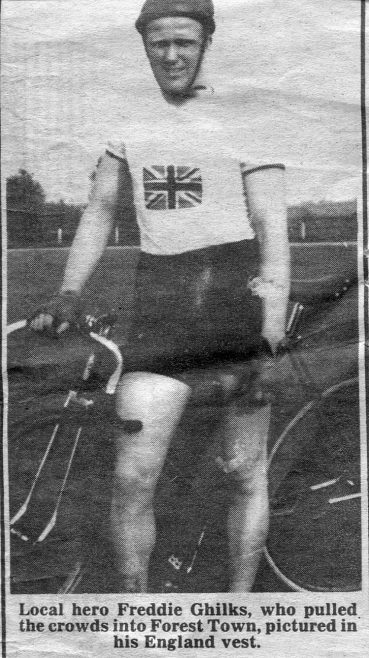 The track which was opened along with the Miners Welfare Institute in 1909 has been upgraded at least once but is once again in need of repair to bring it up to a standard required for competitive racing. 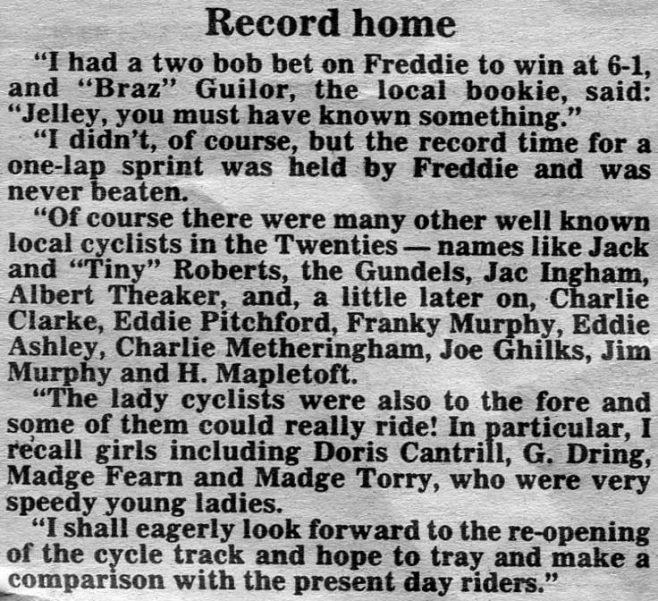 This will require a large amount of money but as the interest in cycling continues to gain momentum the advantage of a proper racing track in Forest Town has untold possibilities for young and old alike. 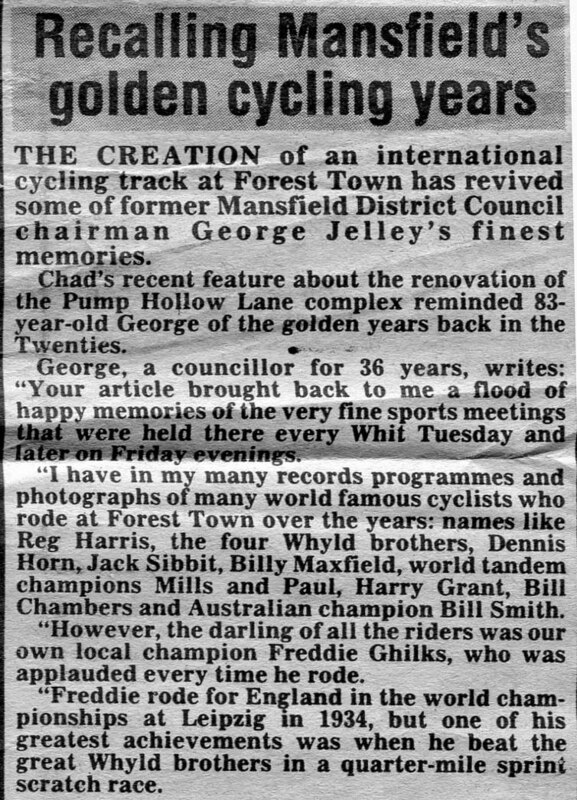 We are fortunate to still have a cycle track in Forest Town , many others that were built at a similar time have long since disappeared. By coincidence on April 19th I was give an undated newspaper cutting which emphasises just how popular cycling used to be in Forest Town. 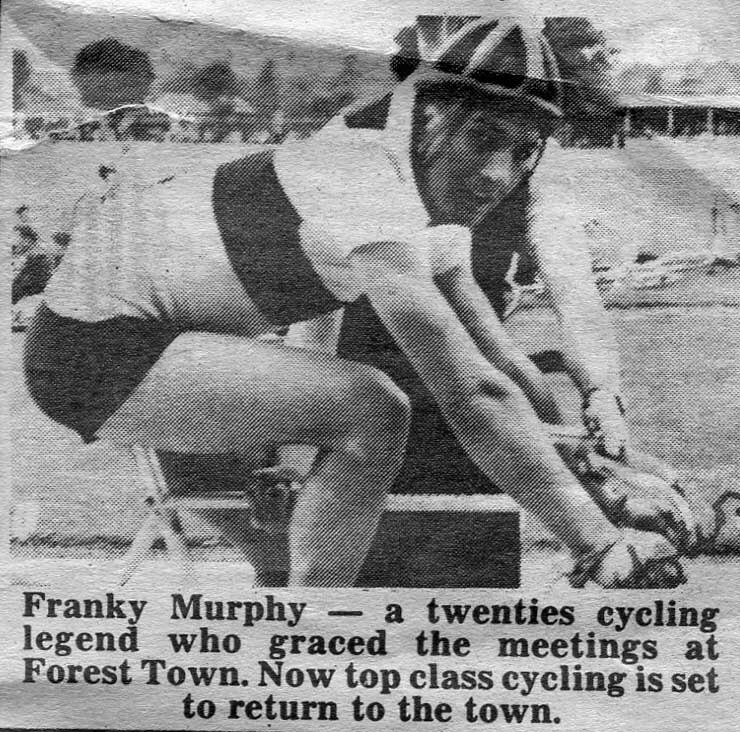 How interesting that the text on the last photo states ‘Now top class cycling is set to return to the town” – this is just what is hoped will happen once gain in the very near future. Lovely to hear about the cycle track at Forest Town which I didn’t know existed. Also I was surprised to hear of all the local connections to famous cyclists. 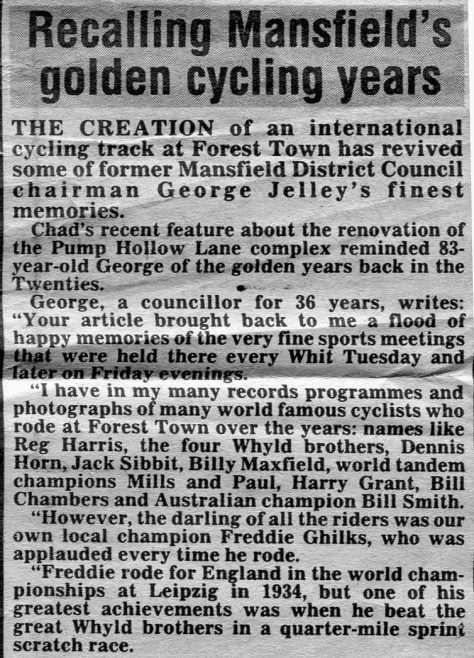 Makes the launch of the Forest Town and District U3A cycling group more significant and quite exciting.